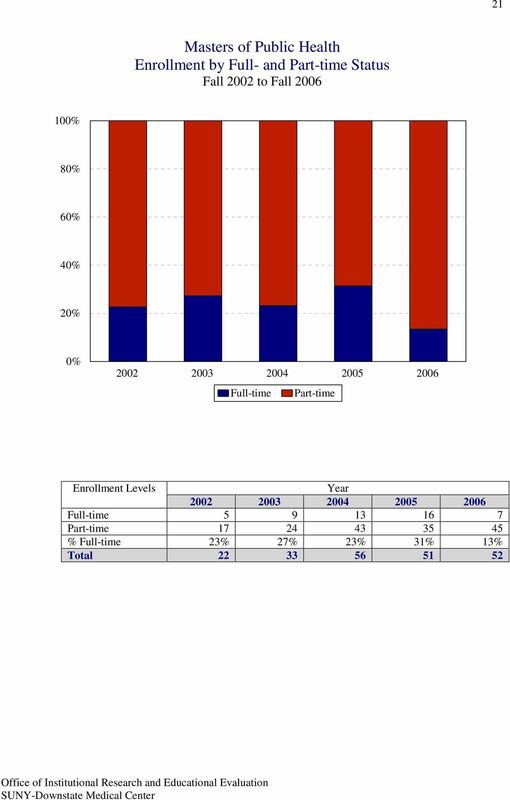 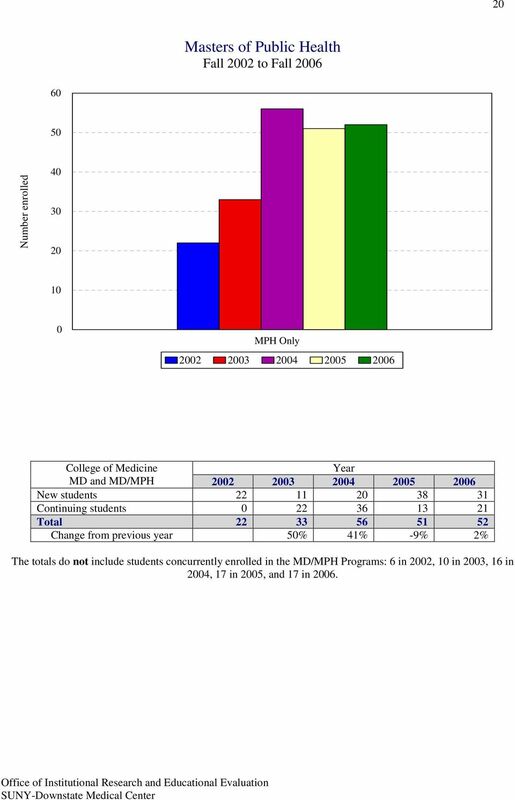 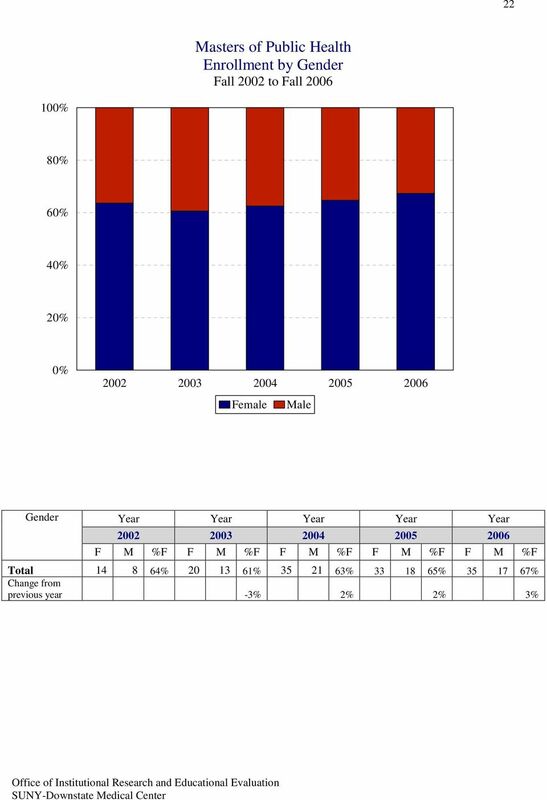 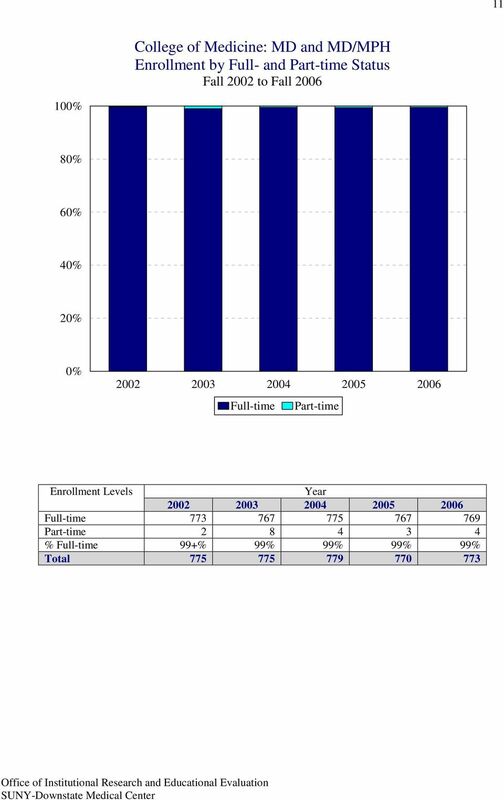 Download "College of Medicine Enrollment MD and MD/MPH Fall 2002 to Fall 2006"
1 1 1 College of Medicine Enrollment MD and MD/MPH College of Medicine MD and MD/MPH New students Continuing students Total Change from previous year % % 1% -1% College of Medicine MD Program s reflect a planned reduction in entering class size to 18 beginning in 1997 and a planned increase beginning in 2. 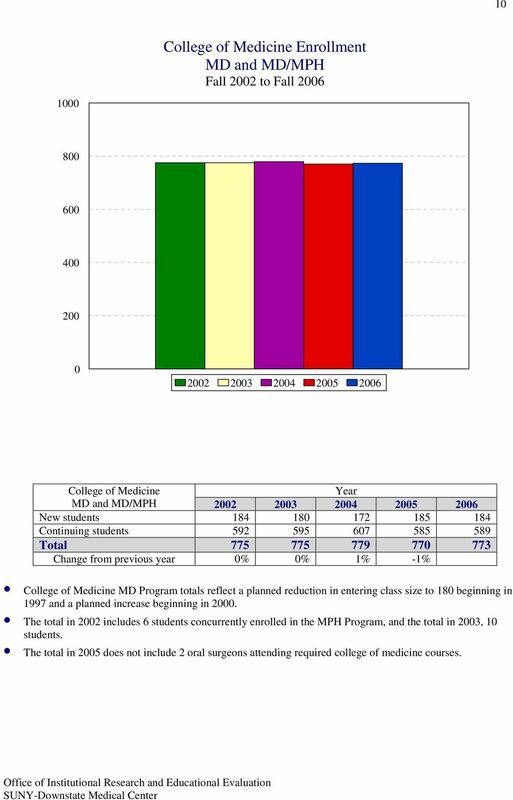 The in 22 includes 6 students concurrently enrolled in the MPH Program, and the in 23, 1 students. 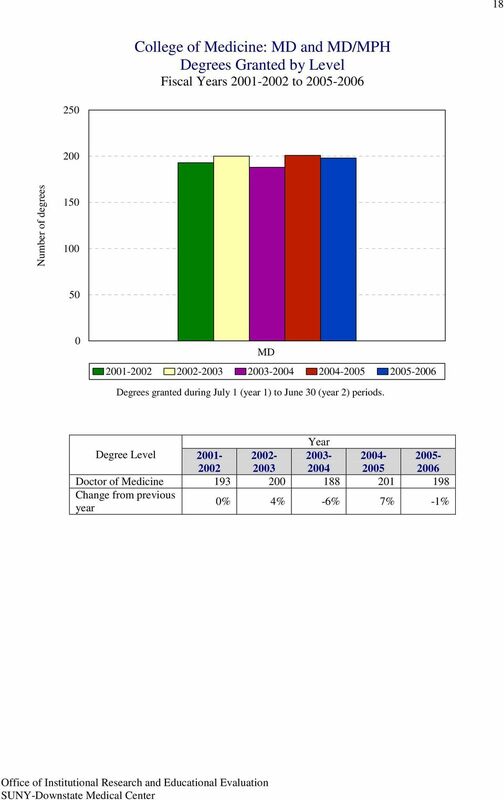 The in 25 does not include 2 oral surgeons attending required college of medicine courses. 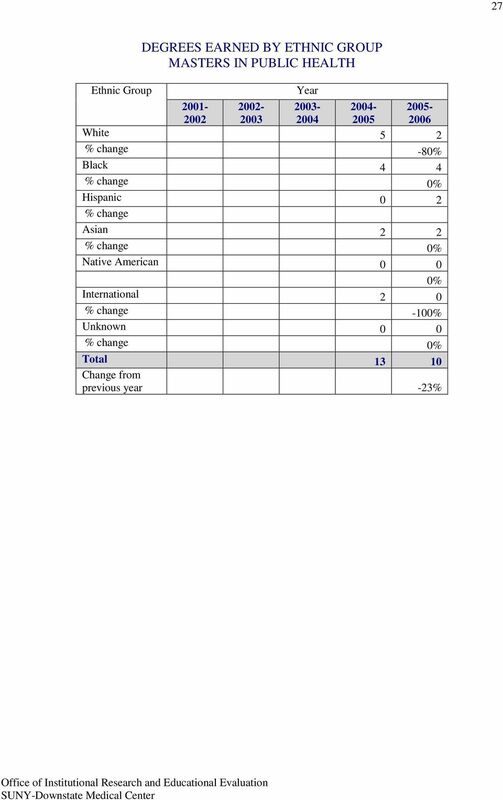 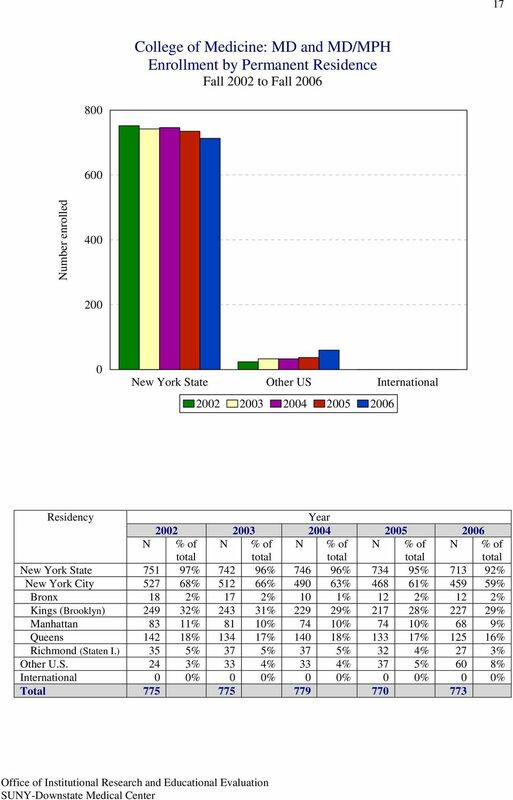 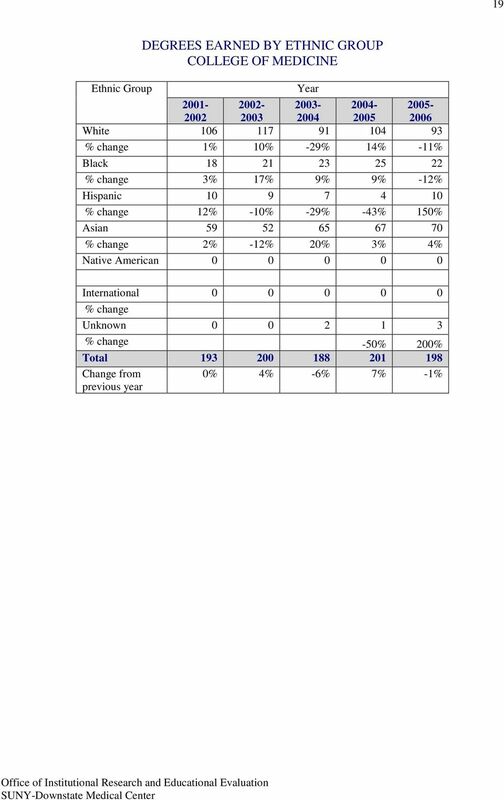 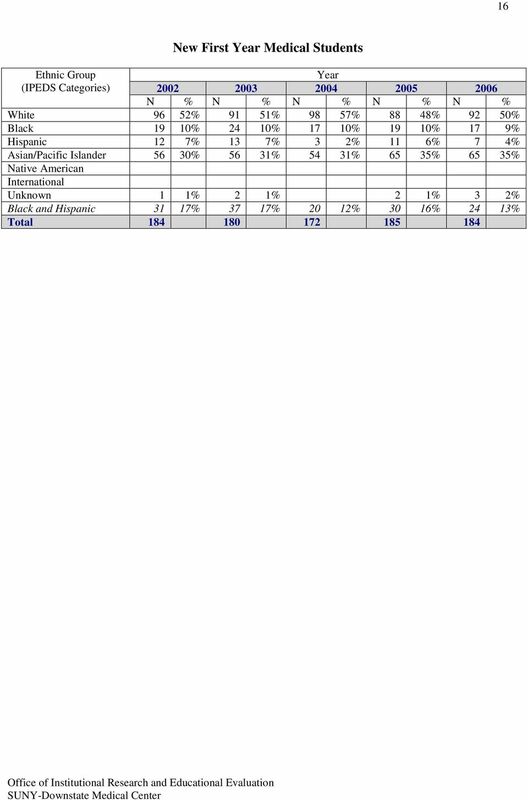 6 15 College of Medicine: MD and MD/MPH Enrollment by Ethnic Group White Black Hispanic Asian NA* International Unknown *Native American students numbered 3 in 2, 2 in 21, in 22, in 23 and in 24. 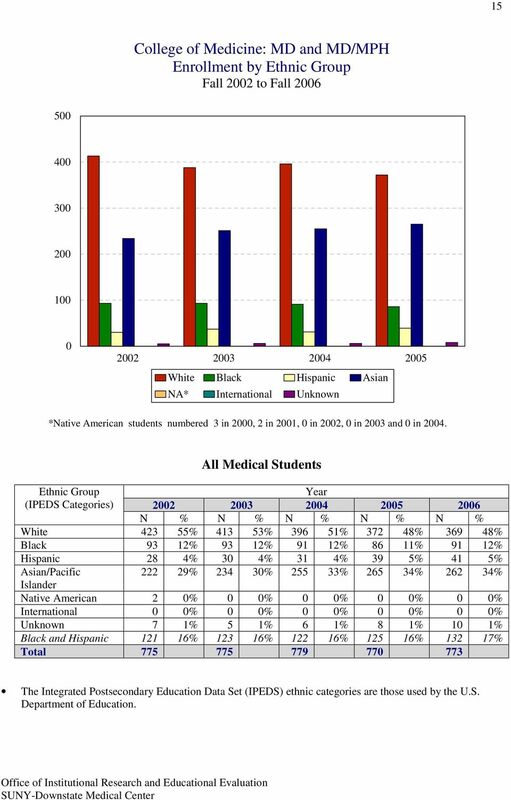 All Medical Students Ethnic Group (IPEDS Categories) N % N % N % N % N % White % % % % % Black 93 12% 93 12% 91 12% 86 11% 91 12% Hispanic 28 4% 3 4% 31 4% 39 5% 41 5% Asian/Pacific % 234 3% % % % Islander Native American 2 % % % % % International % % % % % Unknown 7 1% 5 1% 6 1% 8 1% 1 1% Black and Hispanic % % % % % Total The Integrated Postsecondary Education Data Set (IPEDS) ethnic categories are those used by the U.S. Department of Education. 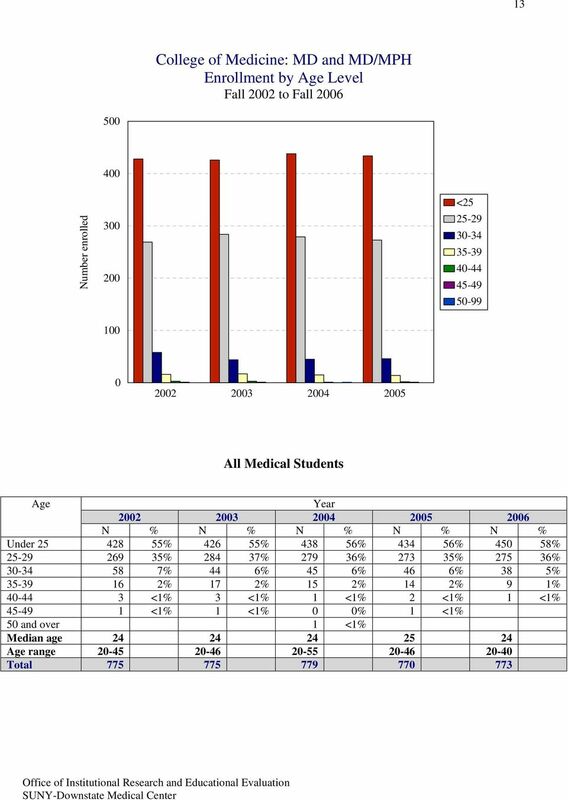 11 2 Masters of Public Health 6 5 Number enrolled MPH Only College of Medicine MD and MD/MPH New students Continuing students Total Change from previous year 5% 41% -9% 2% The s do not include students concurrently enrolled in the MD/MPH Programs: 6 in 22, 1 in 23, 16 in 24, 17 in 25, and 17 in 26. 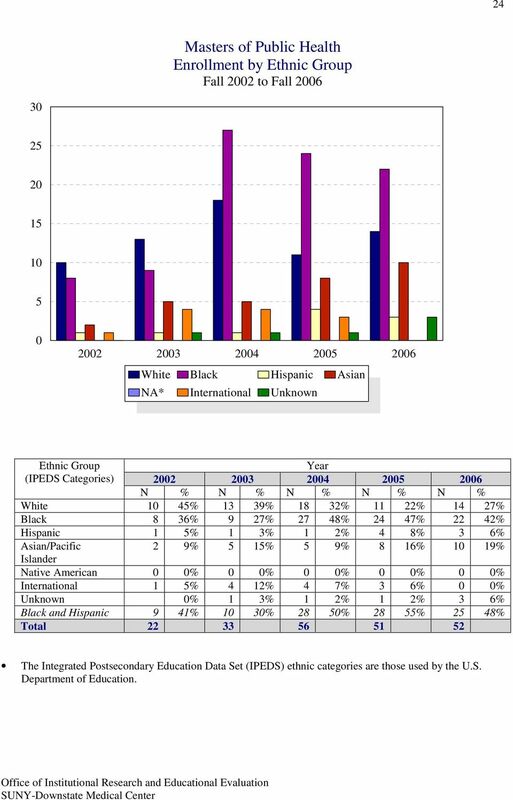 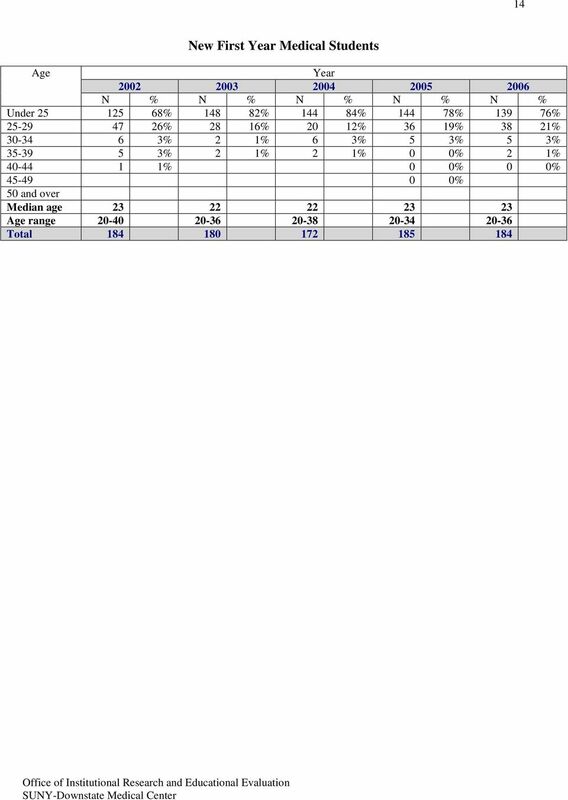 15 24 Masters of Public Health Enrollment by Ethnic Group White Black Hispanic Asian NA* International Unknown Ethnic Group (IPEDS Categories) N % N % N % N % N % White 1 45% 13 39% 18 32% 11 22% 14 27% Black 8 36% 9 27% 27 48% 24 47% 22 42% Hispanic 1 5% 1 3% 1 2% 4 8% 3 6% Asian/Pacific 2 9% 5 15% 5 9% 8 16% 1 19% Islander Native American % % % % % International 1 5% 4 12% 4 7% 3 6% % Unknown % 1 3% 1 2% 1 2% 3 6% Black and Hispanic 9 41% 1 3% 28 5% 28 55% 25 48% Total The Integrated Postsecondary Education Data Set (IPEDS) ethnic categories are those used by the U.S. Department of Education.